Bristol Storage Equipment is proud to be a member of the Dexion distributor network in the UK. As an approved Dexion supplier, Bristol Storage can provide expert advice and technical support for all Dexion pallet racking systems and storage products for warehouses across the UK. With support from Dexion, the inventors of adjustable pallet racking and the world famous Slotted Angle, Bristol Storage guarantees the best product, the best price and the best customer service. Whether you need spares and repairs or a warehouse full of Dexion racking, Bristol Storage should be your first port of call for Dexion’s leading range of warehouse storage equipment. 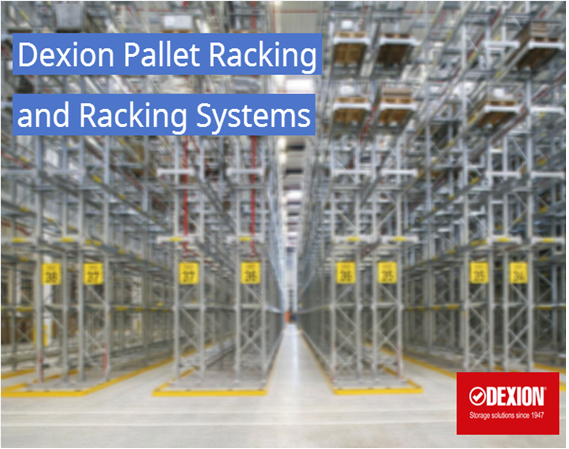 Bristol Storage can design, supply and install a Dexion pallet racking system for your warehouse. Call us now on 01179 555 211 for a free quotation and maximise your storage space today.